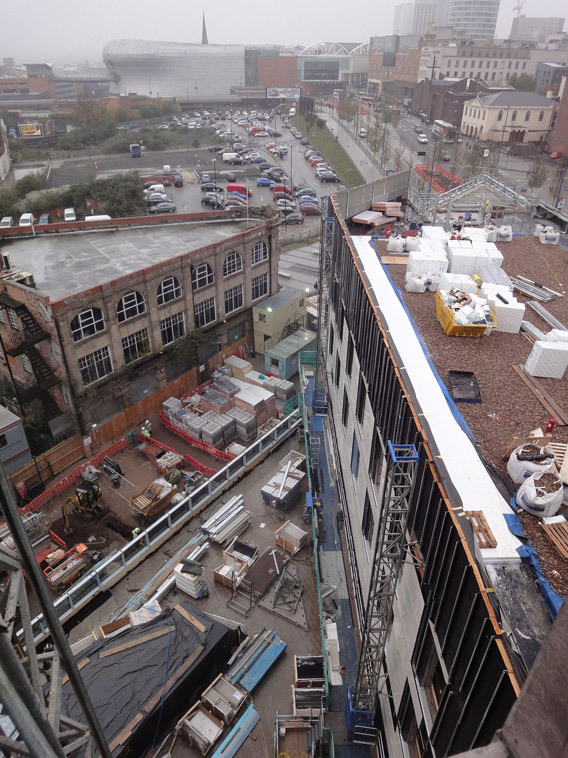 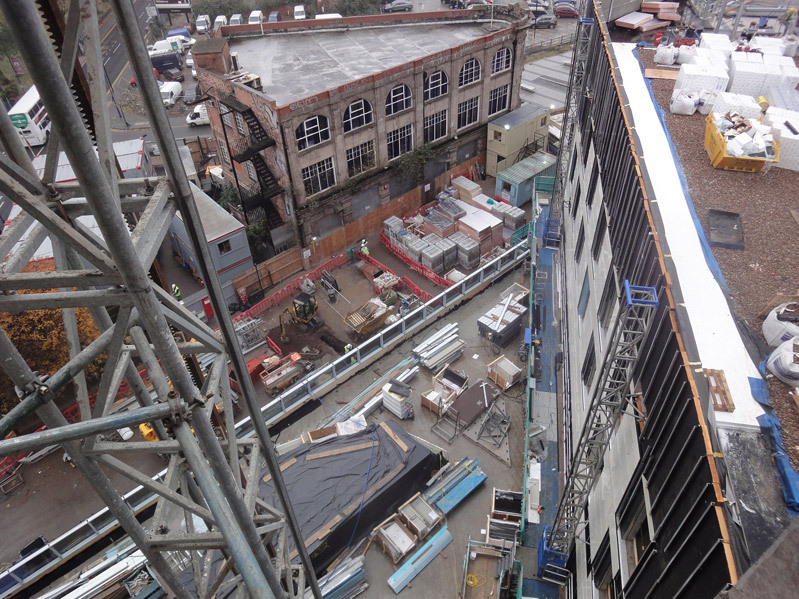 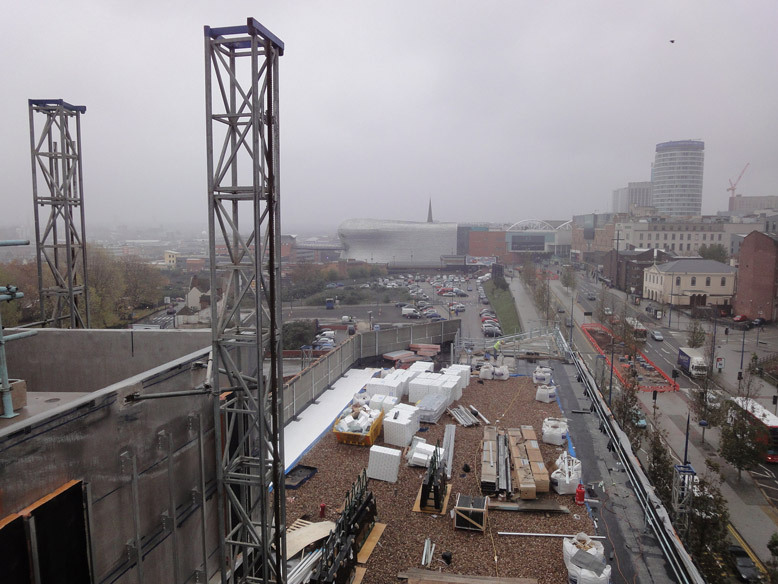 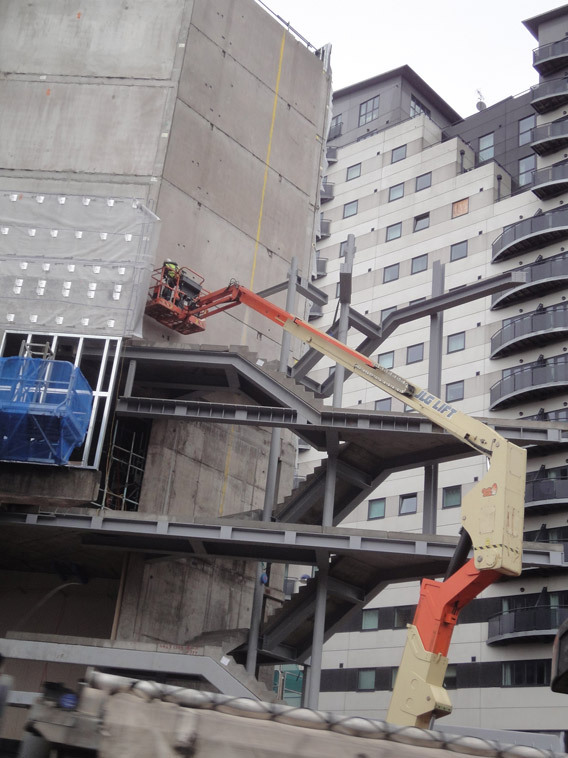 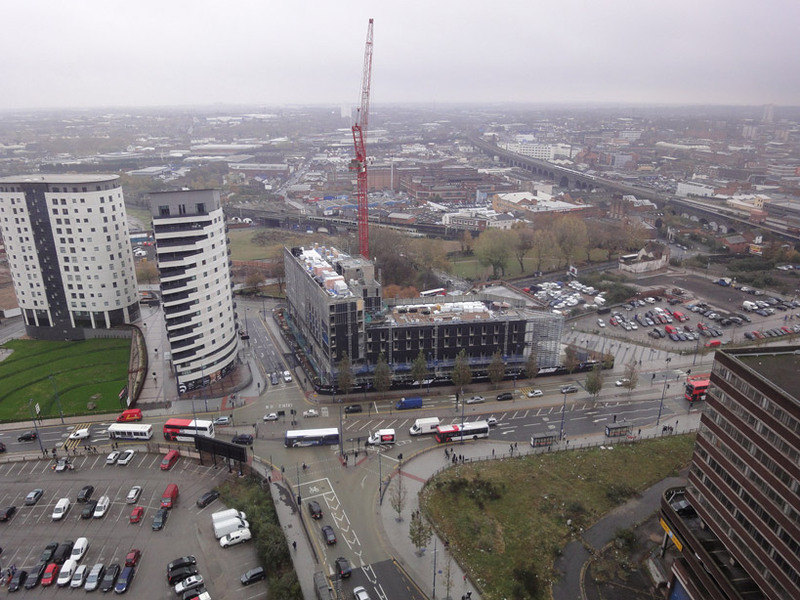 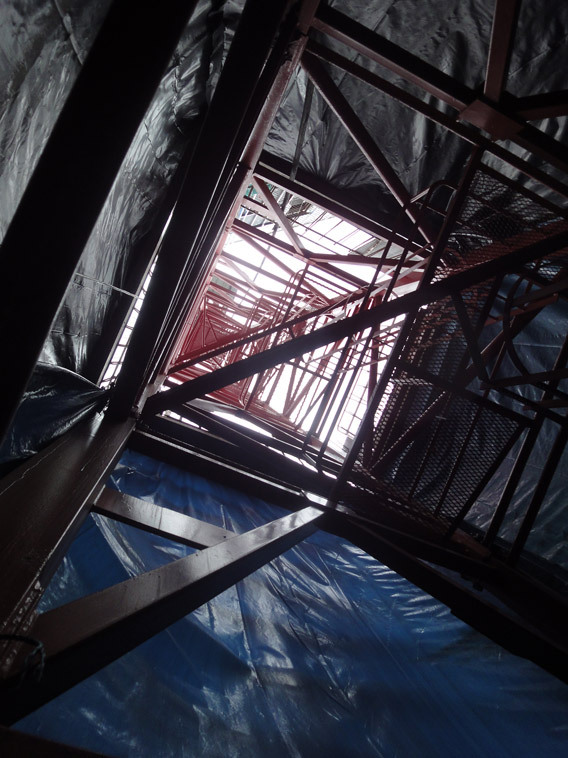 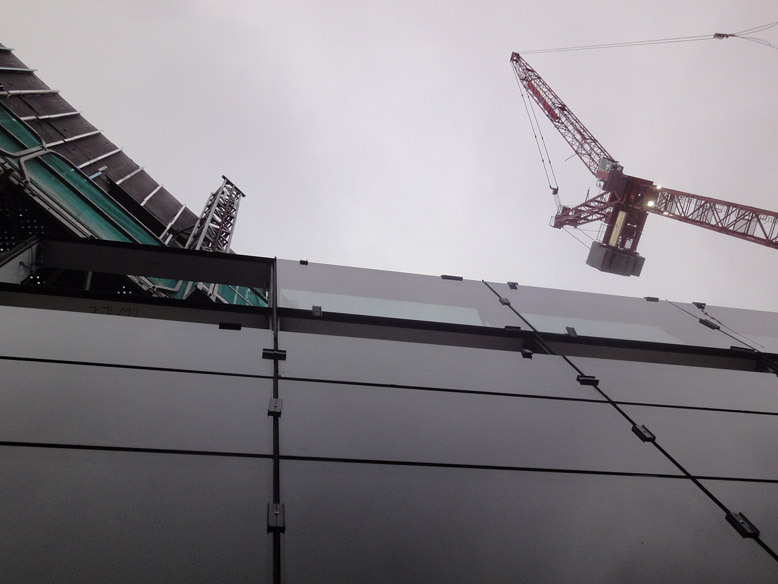 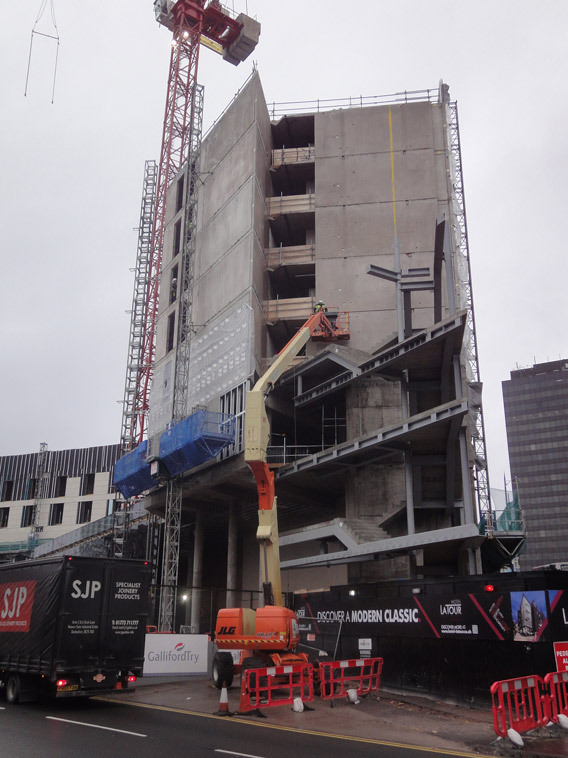 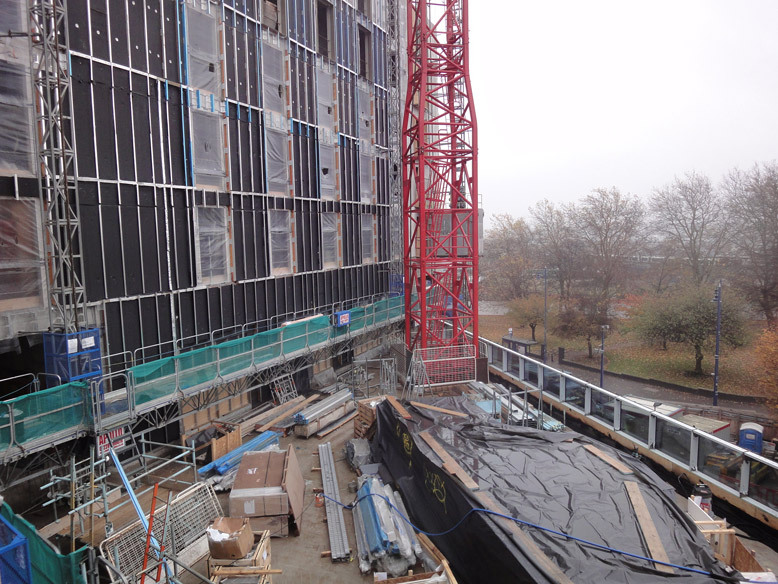 Thursday 10th November saw Hotel La Tour reach it's topping out milestone. 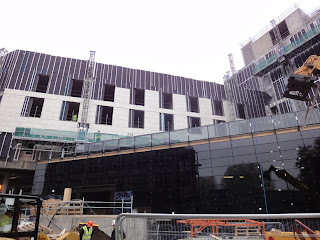 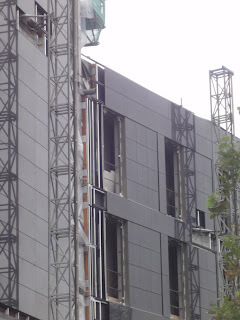 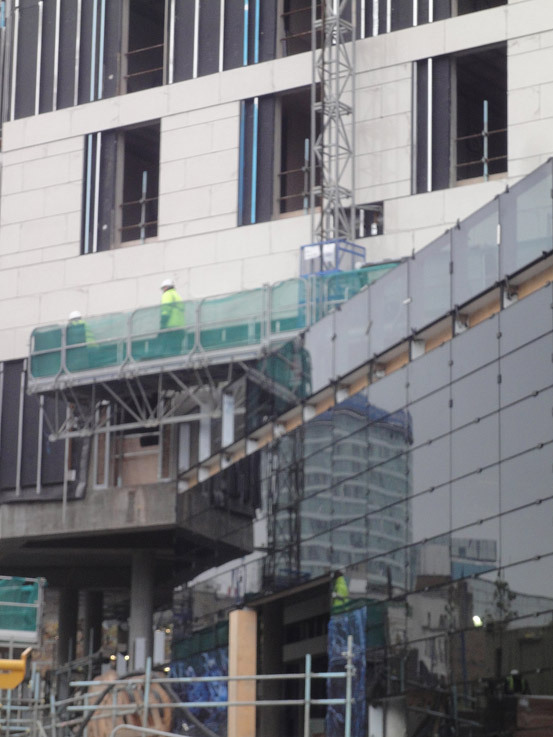 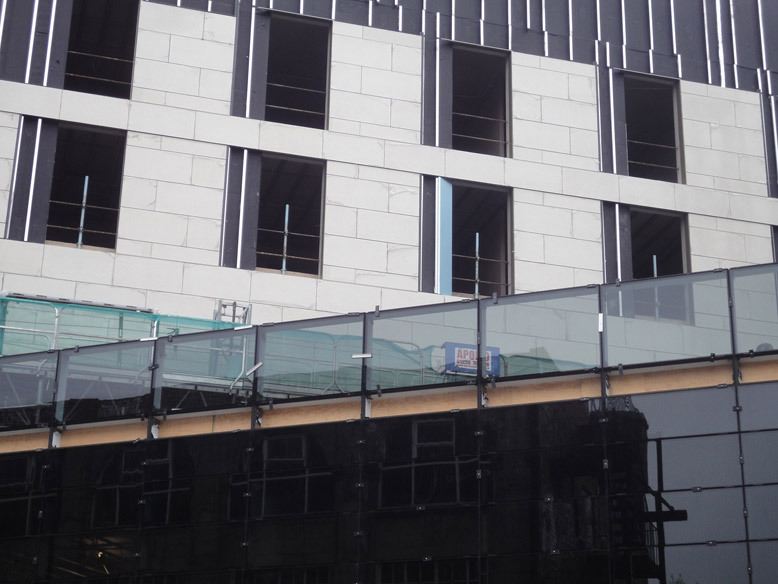 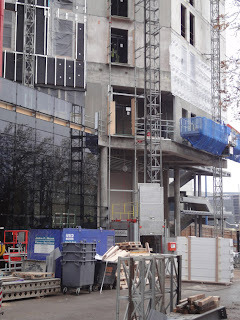 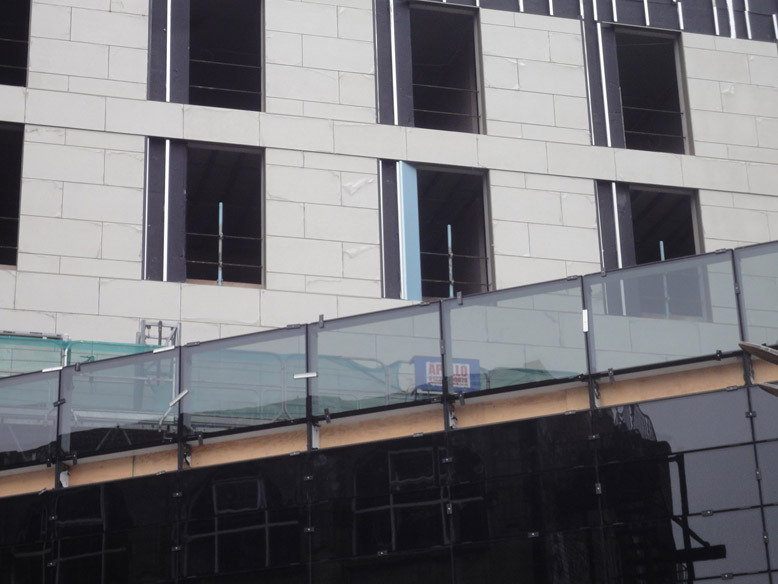 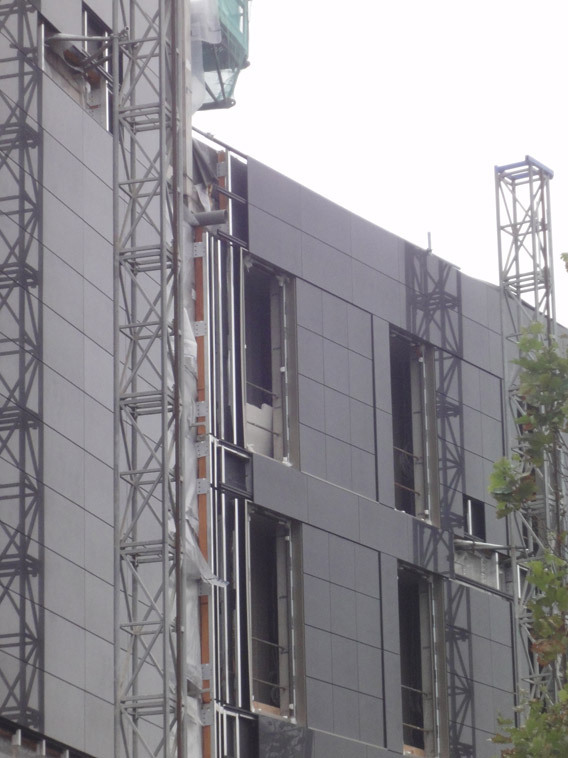 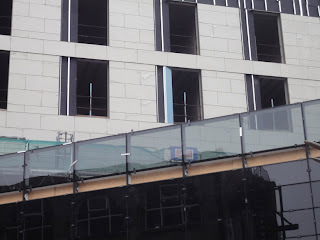 While Hotel La Tour has finished it's rise upwards work is rapidly progressing on cladding the exterior with the limestone clad finish emerging onto Albert Street, Putting our face on, and the black granite clad finish reflecting the City Council's transport changes to Moor Street Queensway alongside the reflective glass on Albert Street, Connecting the Transport dots. 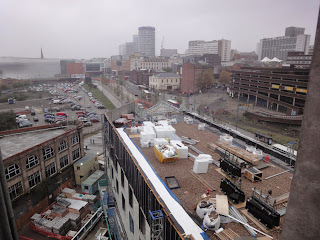 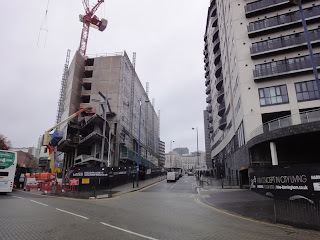 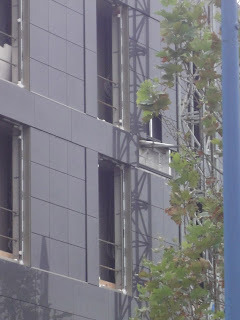 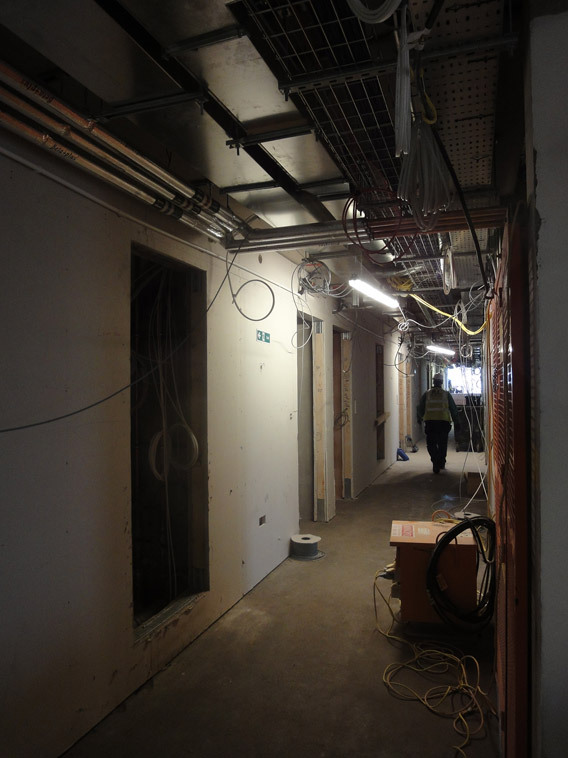 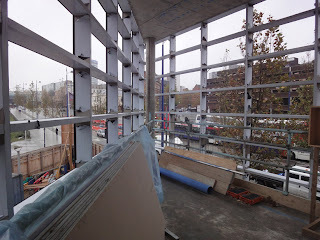 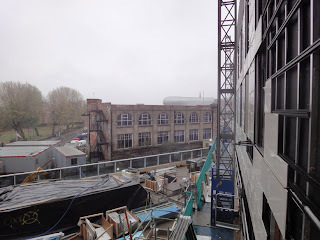 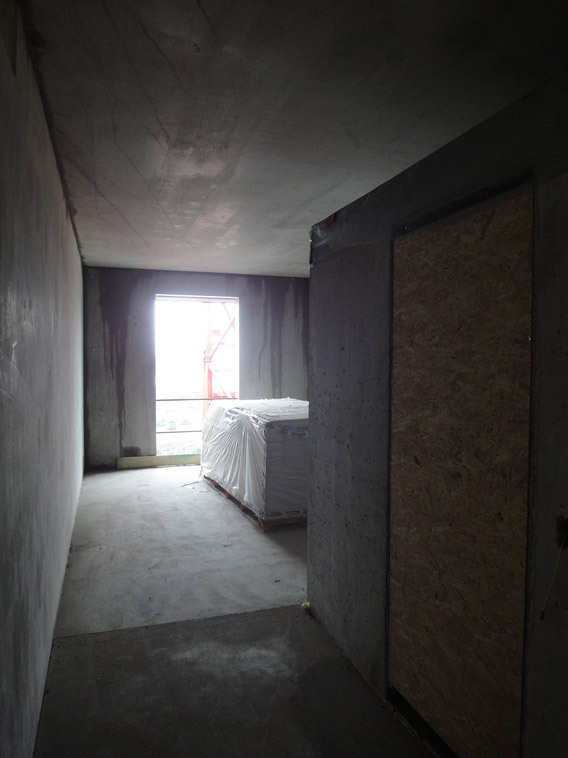 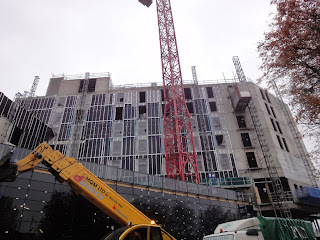 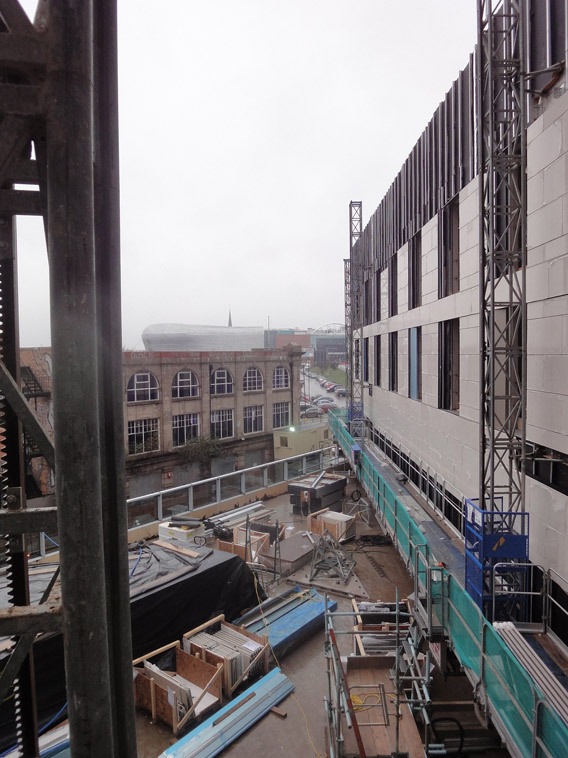 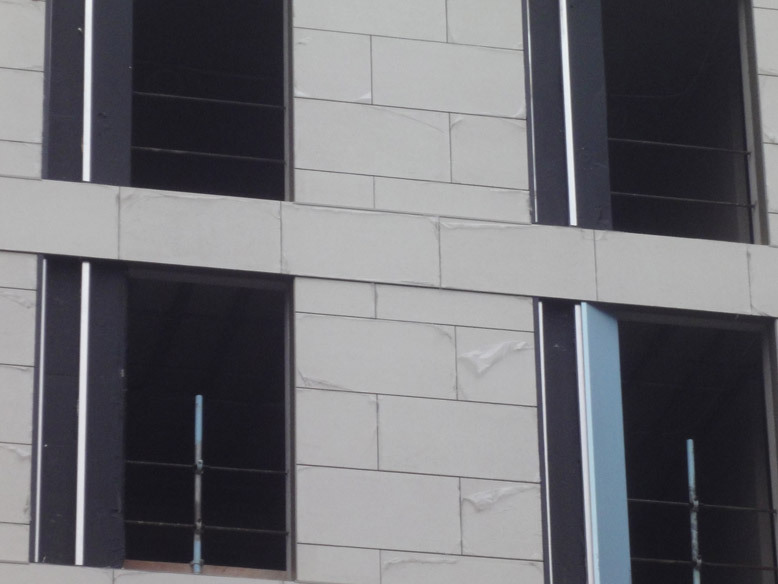 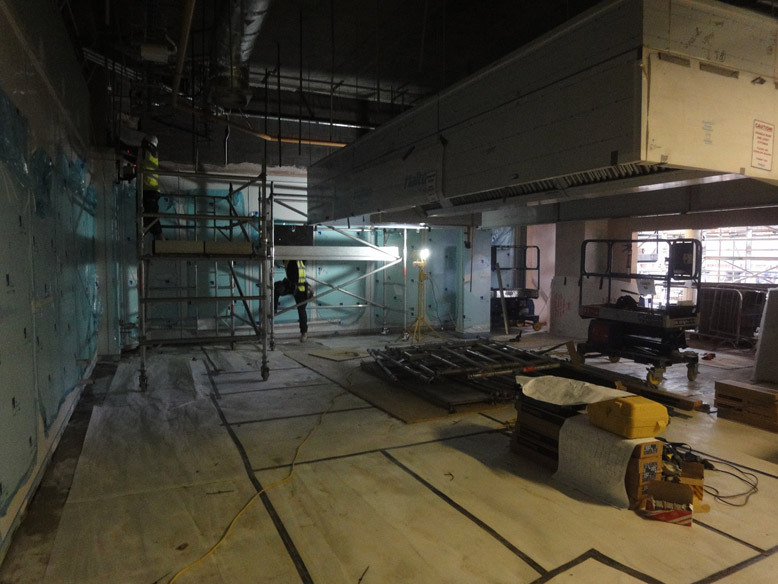 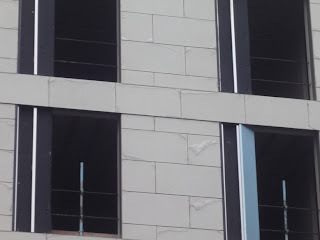 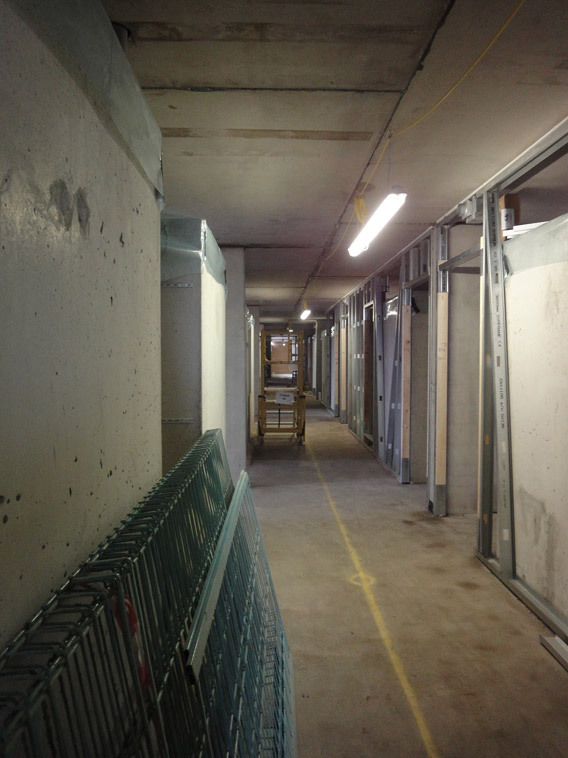 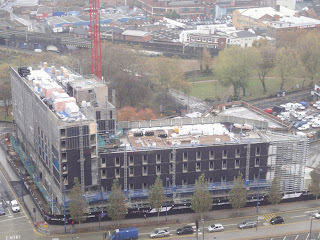 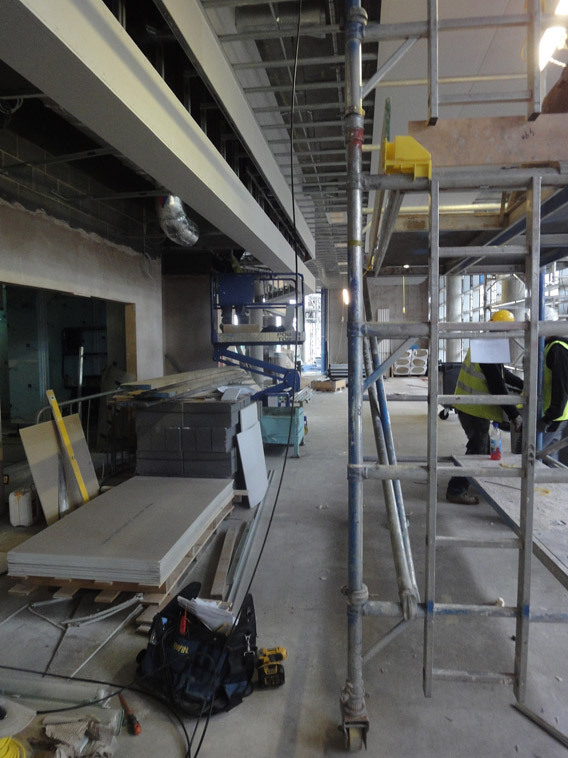 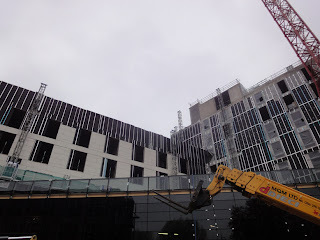 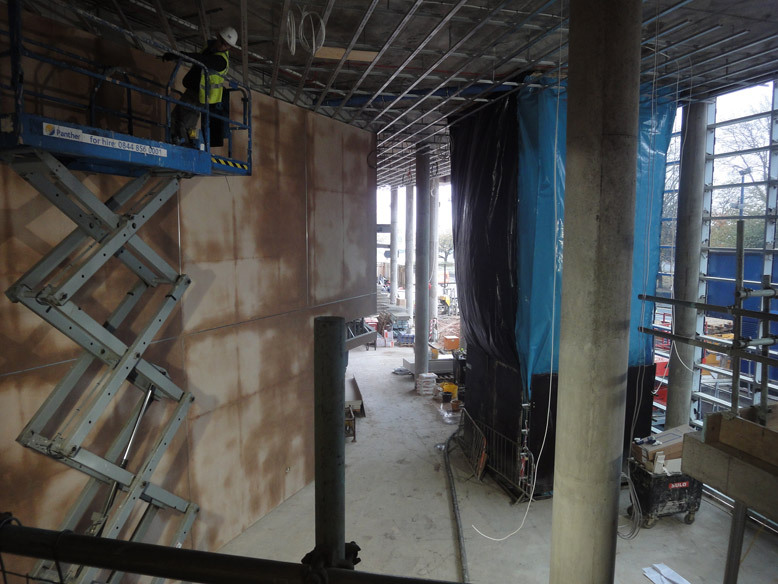 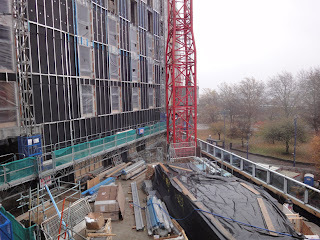 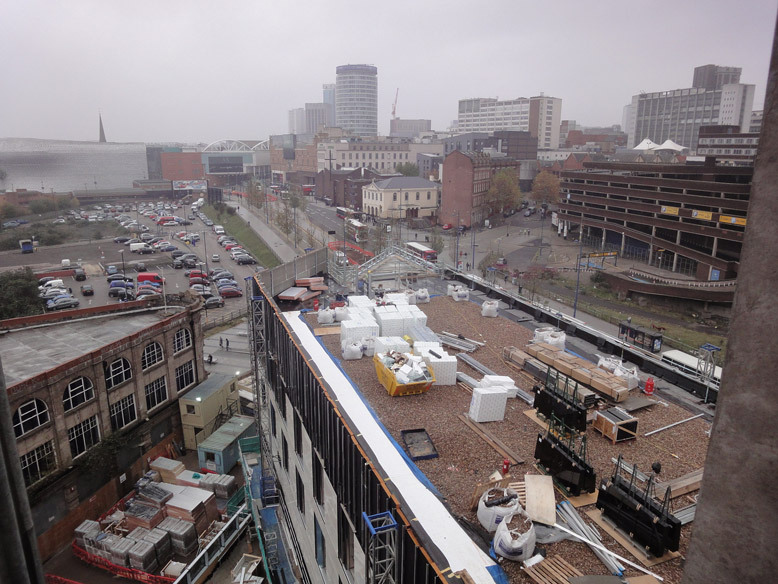 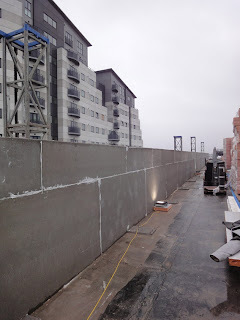 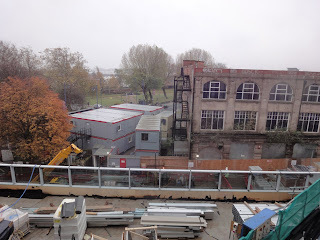 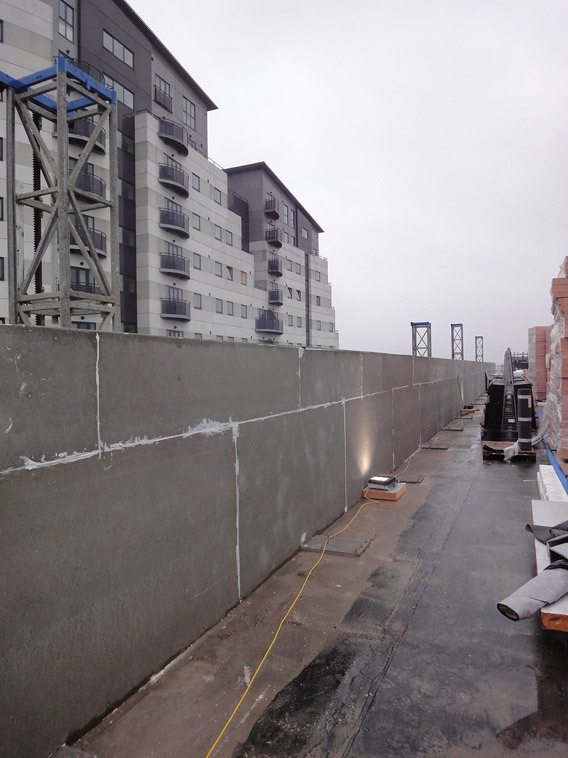 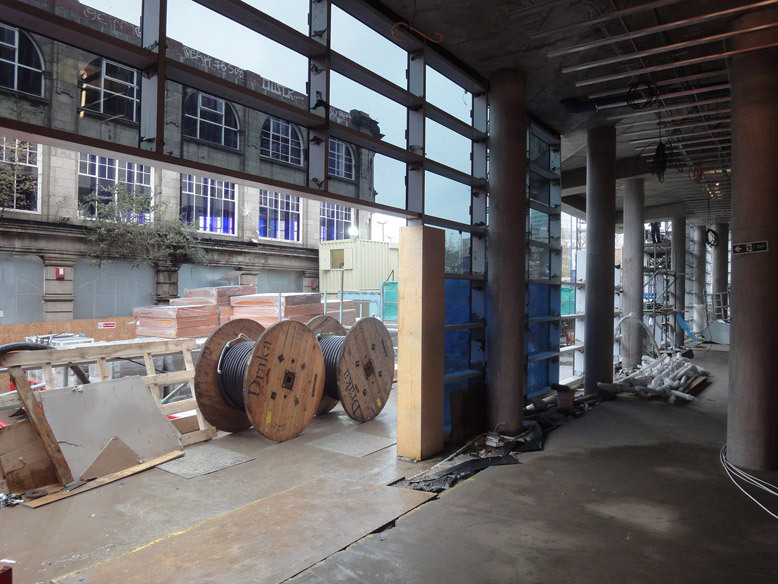 I was given the privelege of a tour of the site on Wednesday 9th November and the photos below show the rapid progress internally with the shape of the hotel taking shape and allowing a real comparison to the scale of the hotel we have seen in renders, Hotel La Tour glazes it's way to opening. Bedroom showing the Italian made pre-fitted bathroom on the right. 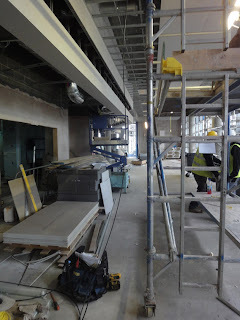 The terrace leading from the bar. 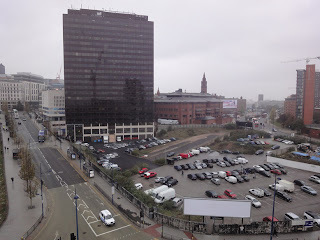 With work rapidly moving forward and the hotel adding to the streetscape and regeneration of the Eastside area which is itself seeing work take place on the new Eastside City Park and Birmingham City University Eastside Campus the City Council and the owners of the Martineau Galleries site should surely seek to improve the streetscape opposite the new hotel. 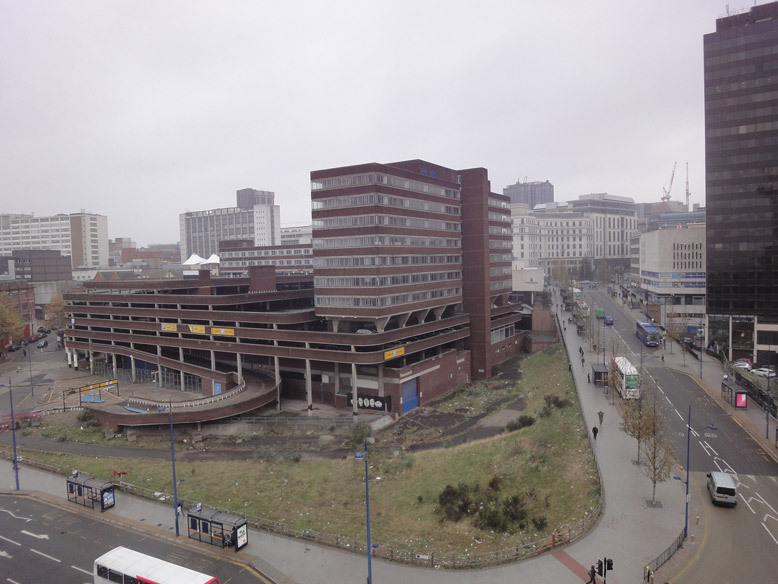 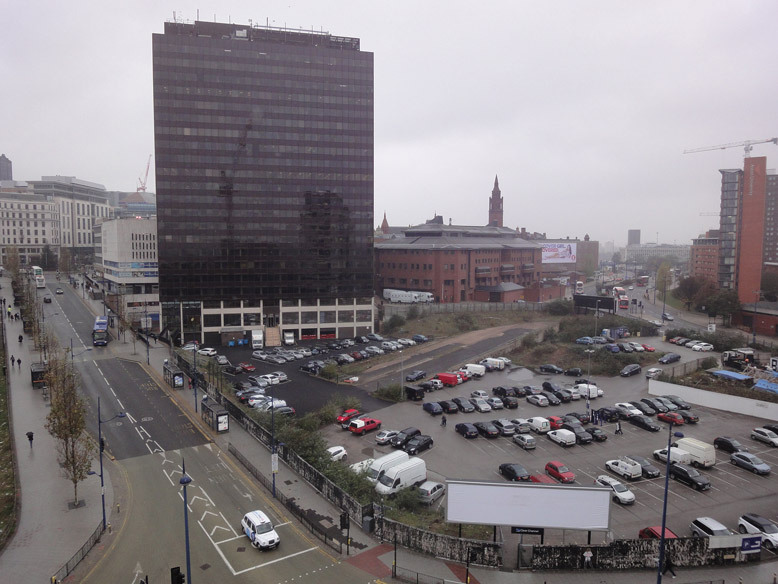 With the council starting work on the new City Centre Interchanges and work to change the traffic priorities and order on Moor Street Queensway it must surely be in their and local developers interests to improve the appearance surrounding the site to improve visitors, investors and city residents' experiences and to encourage further investment. 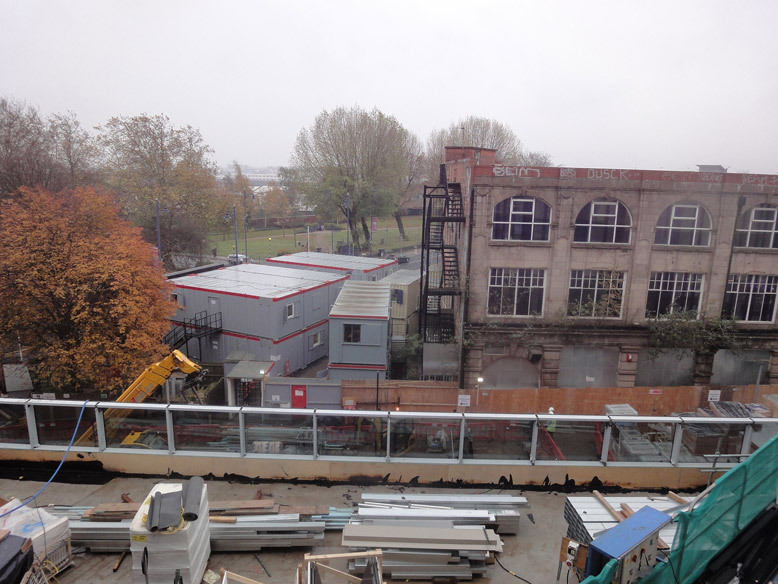 The temporary park on the site of the proposed new Magistrates' Court to replace the empty plot, while the new Magistrates' Court is postponed due to funding, shows what can be achieved with little effort.